Ukebox are an impeccable, talented and professional Ukelele Trio who bring fun and sunshine to any wedding/party or Corporate Event! 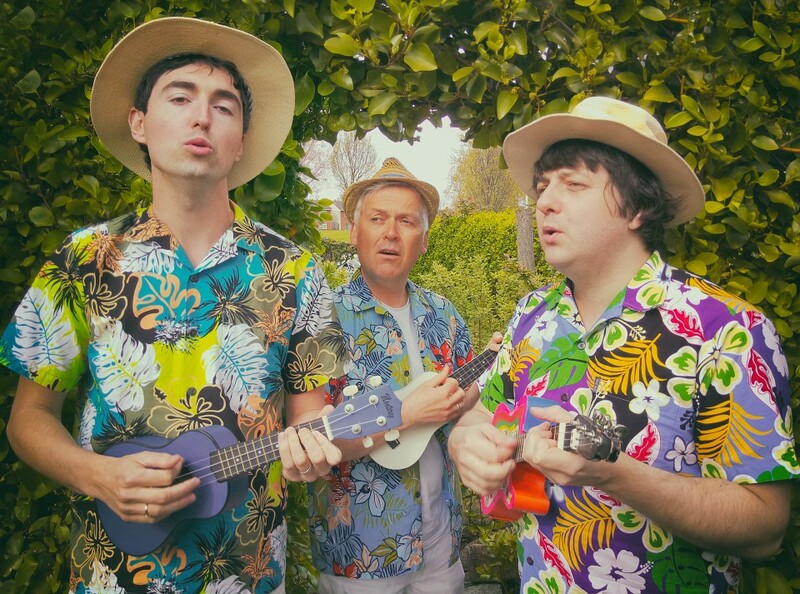 Ukebox is a Ukelele Trio made up of three of the most reputable musicians in Ireland who play and harmonise together like nobody else. This unique idea will bring something extra to your special day. We are versatile in or setlist and can tailor a set to suit ceremony music, or a more upbeat set for drinks receptions or corporate events. We can also go from table to table entertaining your guests. * This is a FREE service, there are absolutely no fees, commissions, hidden charges or otherwise, and Ukebox will respond directly to you. We respect your privacy, you are not signing up for a newsletter or spam, and your enquiry goes only to Ukebox. We booked Ukebox as a surprise for our guests, and what a surprise they were!! They added so much joy and fun to our day and were an absolute wedding highlight. We couldn't have hoped for more. The kindest bunch of lads, one of the best decisions we made and would book them again in a heartbeat. Don't wait, book them, you won't regret it. 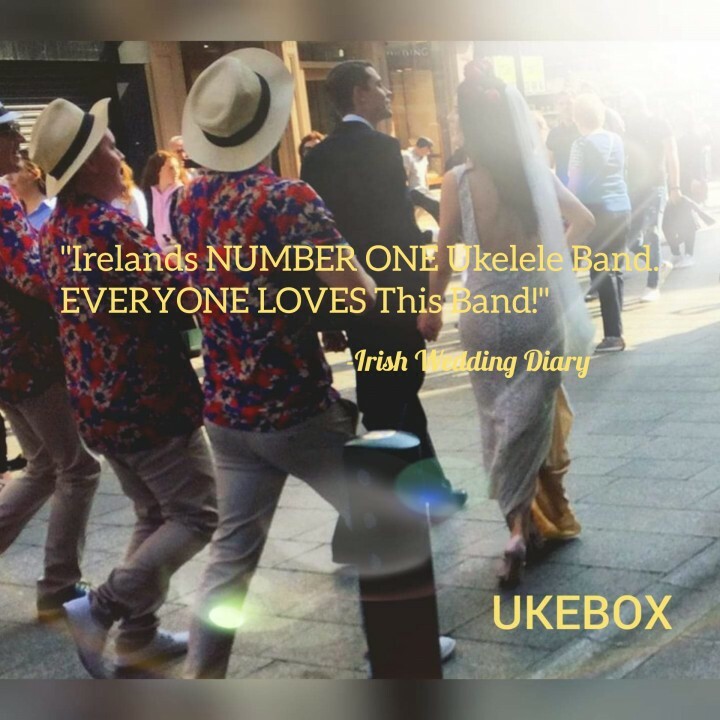 We were delighted to have Ukebox play our wedding drinks reception in Kenmare. All our guests absolutely loved them and they created such a brilliant atmosphere. We recently had a the pleasure of having Ukebox play for the cocktail hour of our wedding reception at Suesey Street. We are so glad we booked them because these guys are AMAZING!!! We did not get a chance to see them live prior to our event so we were keeping our fingers crossed that they sounded as good in person as they did on their promo videos...they do! Probably even better!! Their voices and harmonies are ridiculously smooth and they have a brilliant variety of songs in their repertoire. They appealed to all of my guests young and old...not and easy feat! The guys have a lovely relaxed, yet fun demeanour, which was really engaging on the night. They also took requests which was a lovely touch. So many people have been asking me how I found them and I know a few who would like to book them for themselves in the future! Do not have any hesitation about booking these guys. Mark was a pleasure to deal with from start to finish, he is extremely prompt with his responses, and they were all extremely professional. As you can gather from my review I would have no hesitation in recommending Ukebox, I would give them my highest recommendation. If you like their promo and they're free on your date reserve them before someone else gets in there first!!! Guys thank you so much again for the fantastic job you did entertaining us and our guests, we really loved it and would book you again in a heartbeat! When UKEBOX met BOSCO! Our proudest moment. Ukebox is at Suesey Street.